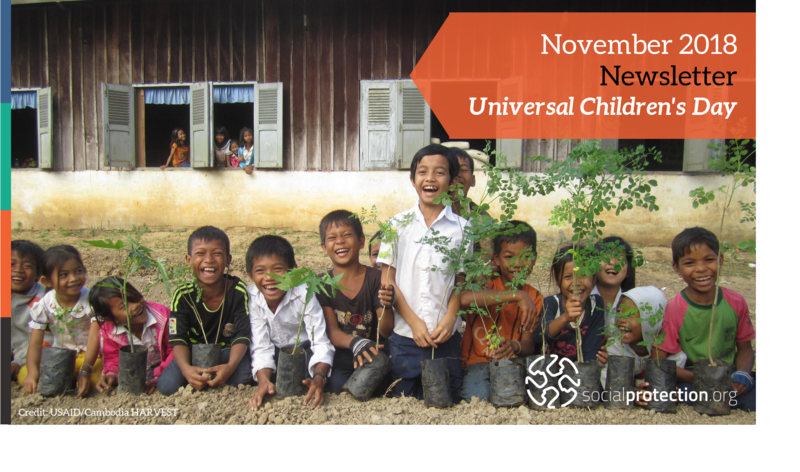 Welcome to the November socialprotection.org newsletter! United Nations Universal Children’s Day is celebrated on 20 November each year to bring international awareness to the needs of children with the aim of improving their welfare. This is crucial as children are an especially vulnerable population, while being solely determinant of our future prosperity. Target 1.3 of SDG 1, 'End poverty in all its forms everywhere', calls for the implementation of nationally appropriate social protection systems and measures for all to achieve substantial coverage of poor and vulnerable populations, including children, by 2030. 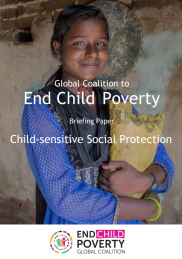 It urges countries to place children at the centre of poverty reduction efforts and reinforces the need to assess the child-sensitivity of policies. 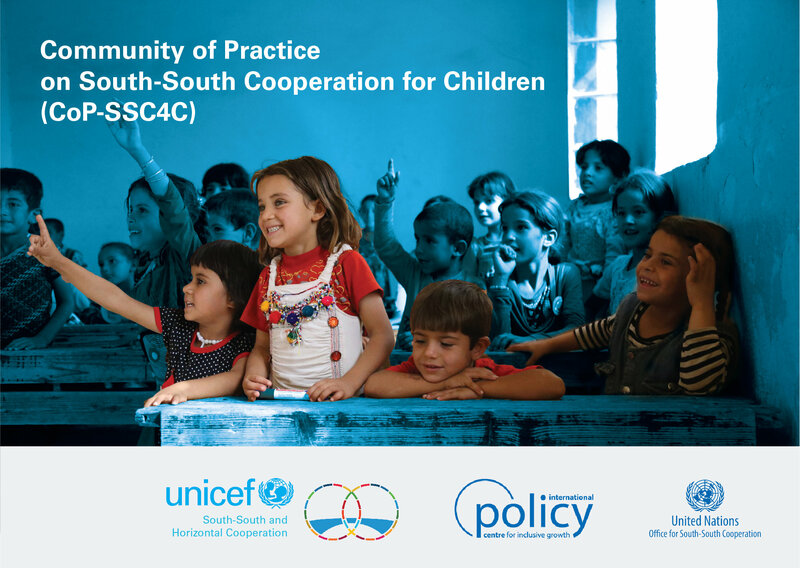 With this in mind, this month’s newsletter showcases social protection content that caters to children. 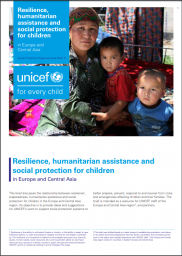 This brief provides ideas and suggestions to support social protection systems to better prepare, prevent, respond to and recover from crisis and emergencies affecting children and their families. In a context of growing budgetary deficits and fiscal consolidation, MENA countries are reducing subsidies and reallocating some of the savings to cash transfer programmes. This offers a good opportunity to invest in children. See the programme profiles presented in this publication. 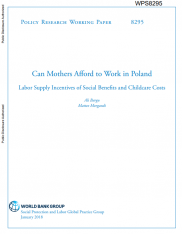 Poland has recently introduced a fertility promotion benefit in the 500+ program. It includes a 75% subsidy of typical childcare costs to restore the financial viability of low-paying work for mothers with young children. Children have the right to social security and an adequate standard of living. Social protection is a key investment in building human capabilities, reducing financial barriers that families face in using basic services, and in breaking intergenerational poverty traps. 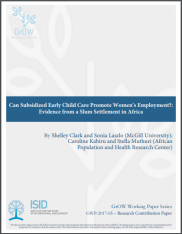 Mothers in Kenya are eager to send their children to early child care (ECC). Women given subsidised ECC are over 17% more likely to be employed. This effect is even higher among those who actually use ECC services. Check out 20 school feeding and educational fee waiver programmes from Africa and the Middle East that support childhood development! Check out highlighted upcoming events! Check out the highlighted Community of the month! This is one of the most accessed pages on the platform! 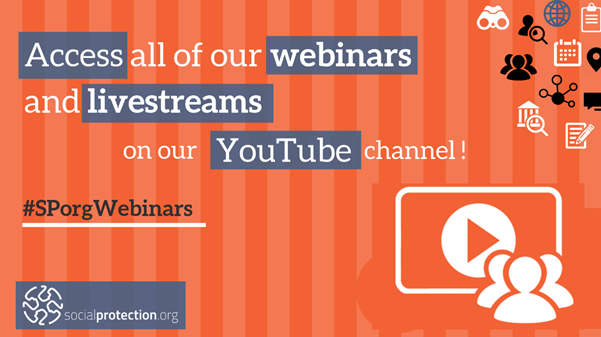 Join 101 members and stay posted on the webinar series. Harvesting Child Nutritional Gains through the Graduation Approach: Results from Randomised Control Trial on BRAC’s Targeting the Ultra Poor (TUP) Program organised by BRAC, DFAT and GIZ (7 November 2017). Invertir en la primera infancia: la experiencia de Chile organised by Brazil Learning Initiative for a World Without Poverty, WWP (24 August 2017). 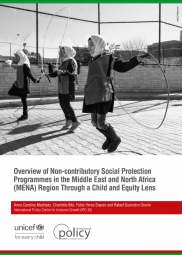 Non-contributory social protection in the MENA region through a child and equity lens by Charlotte Bilo (23 April 2018). Lesotho’s Child Grants Programme: From donor pilot to government programme by Roeland Hemsteede (2 December 2017). WFP cash transfers for school meals to promote education outcomes and food security in the Gambia (17 October 2018). New UK aid package to provide life-saving help to millions of Yemeni children at growing risk of famine (15 October 2018). Still a long way to go for children's rights in the Philippines (9 October 2018). Jobs and calls for papers are accessible on our Jobs page. Members can submit jobs and calls for papers by clicking on + Submit job offer.